It’s that time of year again. Spring break, flowers blooming, oak pollen dropping from the trees, rivers filling up, weather warming. Of course, in the midst of all this is that one holiday that everyone loves to love, St. Patrick’s Day. What started as a simple religious holiday celebrating Ireland’s patron saint has morphed into a raucous world-wide party to pay homage to all that is Irish. Coincidentally, we have had several office visits from sales reps from Irish hotels and tour companies come through our doors this very week, in addition to several calls from clients, new and old, asking about trips to the Emerald Isle. All of these things have us talking and wistfully dreaming of a long leisurely journey to this magical place. A few minutes of research turns up postcard-worthy pictures of lush landscapes, stately romantic castles on windswept cliffs, groups of laughing revelers cheering pints of Guinness: things that have come to symbolize and define the small island west of England. For such a small place, we recommend at least 7 days for the highlight reel. Of course, ideally, ten days gets you more time to explore some off-the-beaten-path landmarks and to get a better sense of place. An obvious starting place for your trip is Dublin, the largest city on the island, founded by Vikings and currently full of great museums, architecture, pubs, and theaters. A few days here will give you time to see the Guinness Storehouse (don’t miss the 360 view of the city from the rooftop Gravity Bar), Trinity College, St. Patrick’s Cathedral and Kilmainham Gaol, which is famous for imprisoning the founding fathers of the Irish Free State. A stay at the luxurious Merrion Hotel won’t disappoint. Located in the heart of Dublin’s historic center it consists of restored 18th century Georgian town-houses. 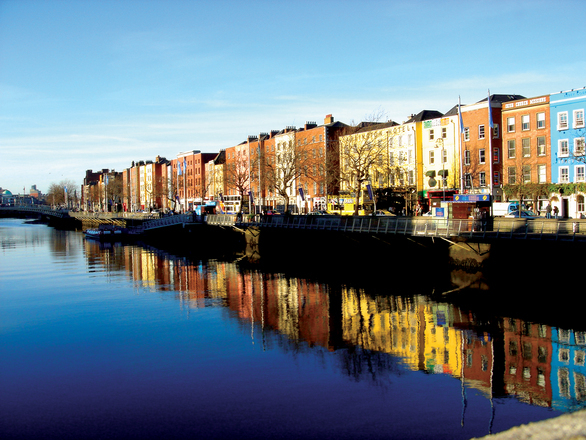 Many of Dublin’s great sites are walking distance from the hotel. Also, as you may have heard, Ireland’s food scene is booming and The Merrion is home to Restaurant Patrick Guilbaud, the only restaurant in Ireland to hold 2 Michelin stars. 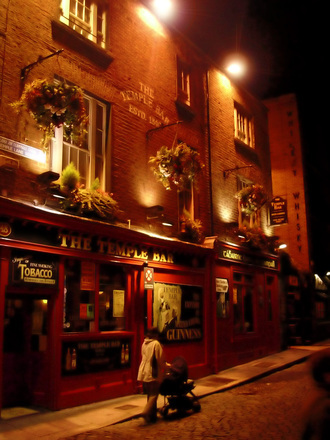 After your power touring of Dublin’s lovely city center, relax with a pint of Guinness or a glass of whiskey in any of the city’s pubs and soak in the warmth of the local people and sounds of Irish music. Leaving Dublin, travel southwest through the gorgeous countryside of Wicklow and Kilkenny where you can stop off at the Rock of Cashel, the ancient seat of Irish kings, and then continue on towards Cork and Kerry. Once in Cork, drop your bags for your stay at Hayfield Manor, where hotel manager Ettienne will welcome you with a whiskey or an afternoon tea (or both!) and show you the property before you are off for some sightseeing. 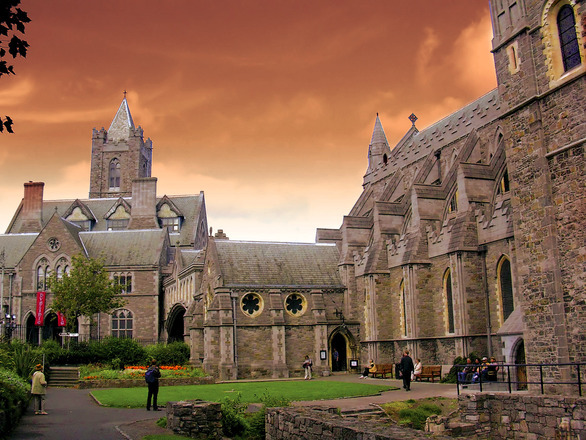 St. Finnbar’s Cathedral is stunning and a stop at the English Market of Cork City is a great way to stretch your legs and hunt for Irish treasures. A side trip down to Cóbh (pronounced cove) is a must. A quaint seaside town south of Cork City known as the final port of call of the RMS Titanic before her journey west, Cóbh has an interesting heritage center commemorating the city’s maritime background. Between 1848 and 1950 millions of Irish passed through this port as they immigrated to America and other parts of the world. 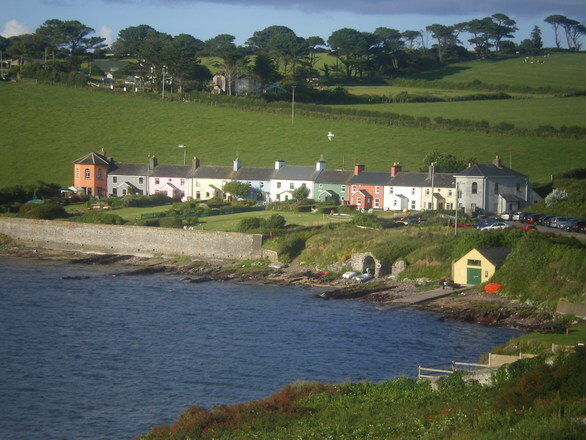 At Herff Travel we have great connections in Ireland who can help trace your Irish heritage if you are a descendant of one of those millions of immigrants. North of Cork City is the Blarney Castle – be sure to lean over backwards to kiss the Blarney Stone and gain the gift of eloquence, as the folklore proclaims. 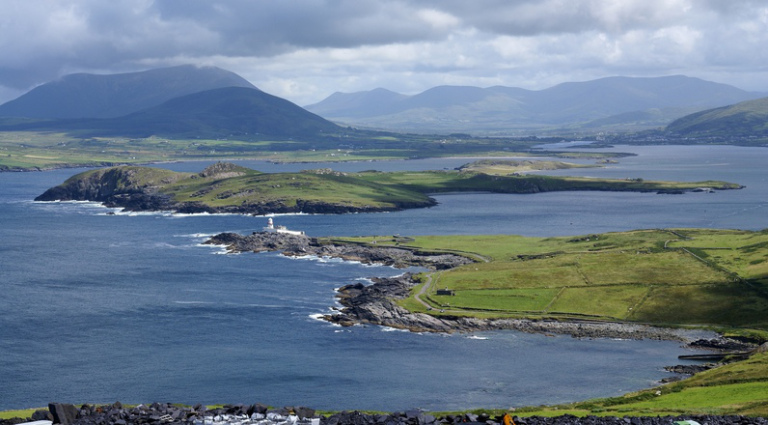 Continuing west will bring you to the Atlantic coast and the sweeping vistas of the Ring of Kerry encircling the Iveragh Peninsula. This is an excellent place for outdoor pursuits like golfing, cycling, running, hiking and horseback riding. 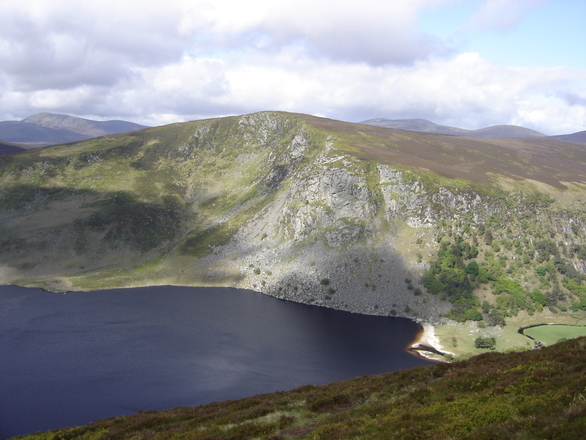 You can marvel at the unblemished scenery and thousands of years of Irish history on display. With such things to see as Torc Waterfall, Muckross House (considered one of the finest stately houses in the country) Ross Castle and Skellig Micheal (a jagged rock island in the Atlantic with ruins of an ancient monastery occupying a series of terraces), this area is a photographer’s paradise. We recommend a stay at Sheen Falls Lodge in Kenmare or a night at Killarney Park Hotel, just minutes from Killarney National Park the first national park established in Ireland. This area is full of picturesque villages with countless opportunities to walk out in nature and enjoy the crisp Irish air and lush scenery. From here, travel up to Adare Manor for a round of world-class golf. The links golf courses of Ireland are a bucket list for golfers around the world and many famous PGA players can attest that some of the best courses in the world are on this island. The Adare Manor’s already award-winning course is being revamped to make it even more amazing. They are installing SubAir technology beneath every putting green, only one of a handful of courses in the world to have this feature. Adare Manor is located in County Limerick in the town of Adare, known as one of Ireland’s prettiest villages. Take in a bit of the slower side of life and learn some of the local Irish lore while you enjoy a night or two in this historic manor house. Its opulence and majesty are wonderfully countered by the warmth and friendliness of the staff and the pastoral beauty of the countryside. From there you can easily hop on a plane in Shannon and be on your way home, but you would be remiss if you did. Instead, opt for a short, inexpensive flight up to Belfast, a city not to be missed. Northern Ireland is home to St. Patrick, his final resting place is in Downpatrick at Down Cathedral not far from Belfast. A new addition to Belfast is the Titanic Museum, opened in 2012, it was recently crowned ‘World’s Leading Tourist Attraction’ at the World Travel Awards ceremony. Standing on the site where the ship was built, it is an artfully designed building with nine galleries dedicated to Belfast’s shipbuilding history and the legend of the Titanic. Don’t miss the Ulster Museum, the Botanical Gardens and Belfast’s budding culinary scene, boasting everything from Michelin starred restaurants to Oyster Festivals. A side trip to Giants Causeway is a must. 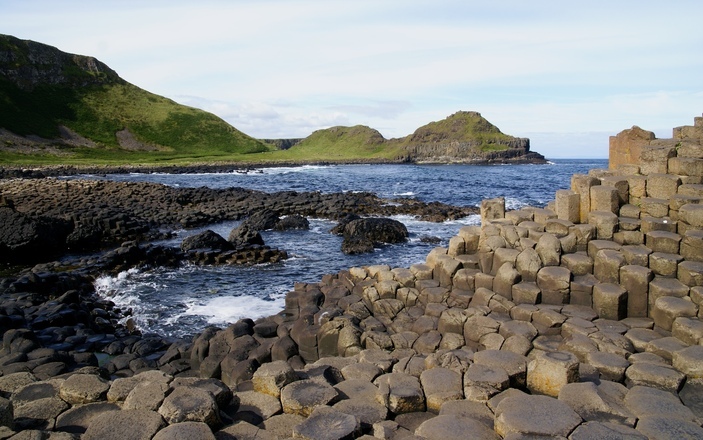 A UNESCO World Heritage site of 40,000 interlocking basalt columns, legend has it that they were built by a giant as stepping stones to keep his feet dry as he walked to Scotland.